Konami, like most software originators leave distribution to wholesalers. Apart from special sample units for review ( sent separately from Japan), importers keep stock in bond (especially higher value cartridges) to save paying import and VAT until goods are actually sold. Some of them are sent straight from bond to other countries, but all goods without exception were large case quantities. When you are dealing with volume like this, it is uneconomical to open a box for a single unit, however you may want to help a customer. I'm quite interested in knowing something else about JAIL BREAK. I have heard some things about it, being one of them that the Konami "UK Team" was coding this game but that, sadly, after the results of GREEN BERET Konami decided to drop this project. In the days of GREEN BERET, good software writers were somewhat unreliable, or so Konami found. Self employed individuals needed constant management skills to get the results, and were ‘flaky’ with their output unless controlled. In fact JAIL BREAK, together with Nemesis and a few other games were coded by a separate company licensed to write and distribute the C64 & Spectrum versions. They employed a software management team, together with full time salaried software writers. I'd like to know how Konami UK looked at MSX at the time and (sub-question) how he looks back on MSX now. 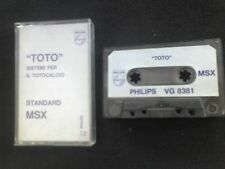 Luther de Gale was very pro MSX, and in fact we were all enthusiasts Konami stood right behind the MSX format, and were the foremost software writers. 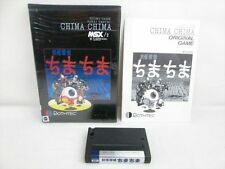 I still believe that had MSX received the right direction with all the manufacturers, we would be looking at a very advanced product today. Does he know what made Konami decide to leave the MSX scene in 1990? That was a bit early, I think. MSX wasn't quite on its way back, commercial wise. Was it solely because of NES? I think that Konami foresaw the fragmentation of the system across the board, and NES looming on the horizon. At this time, I also became closely involved with Nintendo & Ocean software! Does he know young dudes such as Hideo Kojima? When did he start working for Konami? What is his favorite game? Does he still like gaming? Did he ever like it? In the early days Konami (Japan) sold us on their team spirit, and individuals did not gain hero status In the UK, as they do now! I started reviewing MSX games for the first MSX magazines, and Konami were among products from Electric and others I handled. I then wrote for C&VG before taking on the PR for Konami and developing the Konami Software Newsletter. The first machine I started writing for was the Texas TI/994A, which of course was largely cartridge based. I enjoyed gaming from day 1, and still enjoy it! I had and also wrote for all the basic machines, Neo Geo, PC Engine et al! What did Konami Japan say when they saw the MSX version of Green Beret developed by Konami UK?" $%£&**(())++~~ ( or their equivalent) This was much the same as I did! Do you know why the European headquarters of Konami where established in the UK?" At the time the Arcade sales & distribution were already in place, with warehousing etc. It was a logical move at the time. Back in the eighties, which was the computer system/console Konami UK was commercially more interested in?" 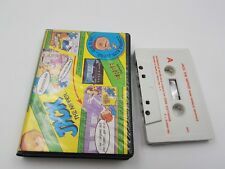 Why Komani abandoned MSX and continued developing for C=64 with games like "The Simpson's Arcade", for example? Many mysteries existed in the management and direction of Konami from Japan, which we were not privy to! To me, it would have been a logical move to have C-64 games on cartridge. Konami had THE Cartridge technology at the time. They could have snapped the C-64 existing user base up, which was quite considerable at the time. What were things like to be at Konami back then in the eighties? Do you have some funny anecdotes about that? I think the funny times were had when receiving prototype cartridges. The introductory text seemed hilarious – especially games like Knightmare! We used to to anglicise the copy for Konami, but it was never used! Eventually, UK users liked the quaintness of it! How much was piracy an issue back then. Compared to how things are now? Was Konami's decision to stop developing for MSX (although they held out fairly long, saving their most beautiful gems - SD Snatcher, Quarth and Metal Gear - for the last) very much influenced by that or was it more because of other issues, such as the more general trend of people moving away to game consoles and IBM compatibles? When the heads of Konami visited the UK, they told me that their cartridges were ‘unclackable’! Imagine their surprise when I sent them a copy of Salamander on disk obtained in Holland! (They never did reply………..) Piracy was never an issue in those days. It was carried out by enthusiasts rather than business men! Someone from Holland told me. If you went out in to the street, and shouted ‘ I have no software’ you would be buried in floppy disks. The move was caused by the inception of new games consoles & PC trends. Why Konami decided to use RC-numbers which start with number 7? Were numbers below 700 already used for other projects for other machines or what? or was that "7" someone´s lucky number or some kind of magical number to make those titles sell well ? Well, you have me stumped there. It was something that I never asked Konami. Why Konami put European team to make "Green Beret"? To programme Green Beret in the UK was a decision that was made outside of the immediate MSX management at the time. Examples of programming are always evaluated before contractual arrangements are made. The human element in all this is the variable, as the programmers proved to be elusive as well as extremely fickle. They also tended to be prima donnas when it came to criticism. They strung the company out for so long with excuses, and took no notice of the storyboarding for the game. The deadlines became extended, and bluntly, the company was screwed. It seems that everybody recognizes that hindsight is a perfect science after the event! It just takes one mistake with a sheep to forget that there was a whole flock of good ones! What was the best selling MSX Konami title in Europe ? What were Konami MSX games sales figures on average ? I did not have that information. What was the most spectacular promotion Konami UK ever did for an MSX game? The rollout format was very predictable and safe, so no innovative promotions were undertaken. Any bright ideas we had took so long to OK through Japan, that we gave up! The best Konami (overall) promotion was to get WEC Le mans arcade machine on Tomorrow’s World* and expose Konami to 11 million watchers. I then did the same thing on Television South West! This took the brand name to the forefront. Did Konami have other R&D, and programming departments outside Japan? Now that you are retired are your fingers still quick enough for the hyper sports/track & field type games? Hope he can answer why Konami published many of their titles for OTHER computers like spectrum, c64 etc. but not for MSX? Like MIKIE on example... and that Jailbreak too... Why Konami itself didn't publish titles like Sparkie and Mouser? Were they too low for Konami standards? I have no answers for these two. Sometimes the policies were very obscure! We weren’t blinkered, but Konami were ahead & innovators in the race. We just kept going, and didn’t look over our shoulder! We also had a lead in the precise manufacture of cartridges. The MSX were of a different style & texture to those of the Spectrum. Spectrum had to be pumped in from a tape – where was the competition? This was true. Let us also not forget that many of the MSX-2 games were also based on traditional Japanese stories/themes , and it was uncertain at that time how they would be accepted in the European Market place. Nice interview, I wish I could add a few of the questions I have.. it would be really cool to get a same kind of interview with one of the previous active MSX developers @ Konami Japan. I can always take some questions and email them to Dennis, we are still in touch. I mentioned the KSC newsletter sale on ebay, he declined my offer - stating divorce as the grounds!! Oh, that would be nice. Why not just really do it? Open a thread and ask for new questions! Yeah, that sounds good! Reading back the interview (after reading the news letters) triggers some more questions in my head.